Life without smartphones is hard to imagine now. A lot has changed since the evolution of these smart devices and the revolution is still in its early stages, we can expect a lot more. These smartphones had now become a necessity. If one is not much into something, the normal action we do is take out our phone and start playing games, initiate a chat, read some news and so on. This action indicates that we tend to escape boredom. A sarcastic but yet true scenario is you log off because you get bored but after five minutes or so you again login and the reason you logged in again is the same why you eventually logged off. So, taking in mind this scenario, we’ve decided to bring a list of best entertainment apps that will help you increase your entertainment quotient and get rid of boredom. MX player is one of the most popular apps on Google Play Store. This app was developed by J2 Interactive. MX Player has the tagline- “The best way to enjoy your movies” and they claim it right. It provides Hardware Acceleration which helps some functions perform faster than is possible in software running. Some other notable features of MX Players include Pinch to Zoom, Zoom and Pan, Subtitle Gestures, Kids Lock and Multi-Core Decoding. With over 2,346,958 five star reviews on play store, this one is surely a one of the must-have entertainment apps on your device. Spreading the ideas that are worth since 1984, TED will come as no surprise if we add it to our list of entertainment apps for Android. Run by a non-profit Sapling Foundation, TED has gained a world of praise due to its global set of conferences. The emphasis of TED conferences is mostly in Entertainment category. The speakers are given a time limit of 18 minutes to present their ideas in the most innovative manner they can.TED has been offered for free viewing online since 2006. Now talking about the features of the app, the TED conference app lets you view the entire TED talks video library. You can watch the conferences in your native languages, it currently supports over 90 languages. You can also bookmark the talks to watch them later or download one to watch it offline. In addition, you can enable notifications of new talks. Doing the tasks easily what others find difficult is Talent and if you have the talent and love some kind of Mimicry, Dubsmash is a perfect app for you. It allows you to mimic a popular dialogue and then you can dramatize it with the same voice over. You can then share the videos with your friends or on social media platforms to gain popularity. The app is compatible with 4.1 .Android and up. Quora is a social app by Quora Inc. If something is trickling in your mind and you want to know what others think of it or just want to know the opinion of others then place the question on Quora and you will get fabulous responses from some of the best experts in the respective fields. The most amazing thing about Quora is that you can ask anything under the sky and beyond that too and you will be getting a no-nonsense answer for the same. What are some of the best examples of reuses? Why doesn’t Microsoft take action on the millions of pirated copies of Windows? What are 5 mobile apps you can’t live without and why? Ask Quora and the chances of being disappointed are rare, we bet. So, this is why Quora has also marked a place in our list of best app for entertainment. YouTube needs no introduction. People worldwide have admired Google for this video sharing website. You can watch the hottest music videos or videos that are trending in different categories like Sports, Movies, Games and what not. Just tap an icon or swipe to switch between recommended videos, your subscriptions, or your account. You can also subscribe to your favorite channels, create playlists, edit and upload videos, express yourself with comments or shares, cast a video to your TV, and more – all from inside the app. If you are into any kind of sports, a TV show fan or just want to enjoy a flick, HotStar is one perfect app that will you suit your needs. You can live stream a match and can pause it whenever you want. The movie catalog is updated regularly and the best part is you need not require any sort of registration. So, if you have a thing or two for any type of video entertainment then this app is surely a must one. You can watch the shows or free so there is no need to download videos illegally. This cross-platform e-book application by Google is another app we suggest in our list of best entertainment apps for Android. 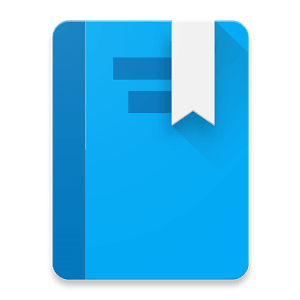 The user can purchase and download an e-book from the Play Store. In addition, you can also upload around 1000 e-books that are in either PDF or EPUB format to the Google Play Book’s account. The Google Play Books require a Google account to access. With this list of free entertainment apps, we’ve tried to cover all possible apps that will help you fight boredom and raise the bar of your entertainment high. We are trying to be honest as possible with this because we have managed some of the experts in Android about what they do in the free time to improve their entertainment quotient. We are pretty sure that all will find something useful from this list of best entertainment apps for Android. Mahesh is passionate about technology. He plays an important role in our editorial staff. He loves to write his heart out and has a constant outlook for Tips and Tricks that enable him to multitask better. I’ll have to give some of these a try a bit later, thanks for the wide variety of suggestions. Good list of entertainment apps. Among those I like Dubsmash app most. When ever I get free time I used to create Dubsmashes. I really enjoyed a lot while doing that. Thanks. Awesome list of apps, I already use all of these apps, I like the most MX Playes because it has many extra features then other video players. Thanks for this informative post and keep sharing. Nice list. Currently I am using Hotstar and for me, this is the best entertainment android app right now. Quora and Dubsmash are my favorite entertainment app for leisure time. 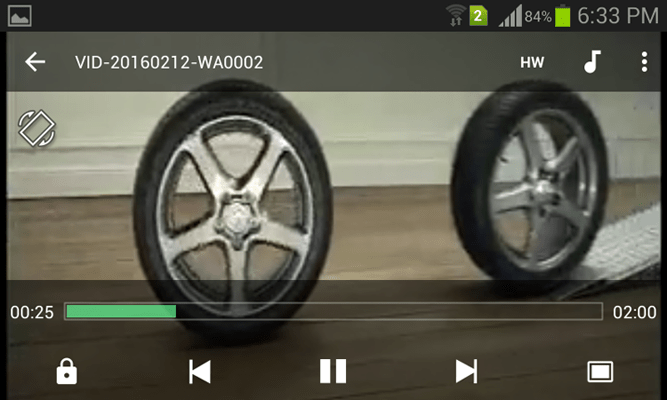 Hey Mahesh nice sharing I am using MX player this is good one. Great list of Apps. I am already using the Quora app and it helped me a lot whenever I need any solution. You can try Eject – Android Apps on Google Play The Eject App, it is currently trending in the USA, it is a video uploading app and they have added lots of categories to upload a Video. You can gain fans for your art and it can be used to do both, upload and surf through videos of talented individuals. This one is for art lovers. That really sounds interesting Johnson. We will surely try it out. I have heard a lot about Dubsmash. Now after reading this, will surely use it. Thanks for sharing best entertainment apps for android phones. My vote surely goes to Hotstar where we could watch movies and tv shows for free. 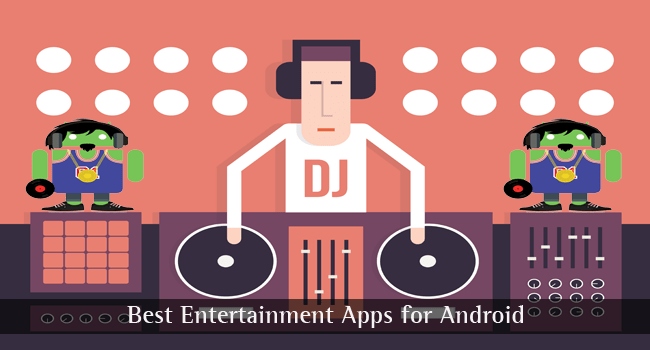 Nice list of entrainment apps for Android. My personal favourite is Dubsmash. Great post! Just to add to the list there’s another app by the name of PlayerXtreme – Media Player which you should definitely check out. Its my go to app for watching videos, movies, TV shows etc. Its just non-stop entertainment. Hi Kevin, I will surely check it out. Thanks a lot. Only used Youtube and Hotstar. A luxurious list of Entertainment Apps for Android that makes one enjoy times. I did not know about all of them. So, I am happy to have knowledge of these great apps. Thanks for collecting and compiling all of these apps for us. Good information, but I think there are some more apps available these are really important. Nice list of entertainment apps mate. I use Hotstar app in my free time to watch series and movies. Such a great list of entertainment apps. Nice list. I have used all of them but I never used Dubsmash. I will surely use that. I love this list presented by you. But I would like to add one more to this list and that would be : Prank Owl. I just love the prank owl as it gives me the opportunity to prank others and get entertained. I hope everyone like the same. This is the very 1st time I am here on TechLila. Your collection of entertainment application is really appreciative. Nice post. Helpful for selecting the right one for our self. Thanks!